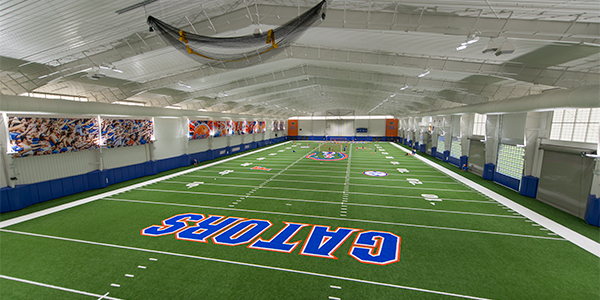 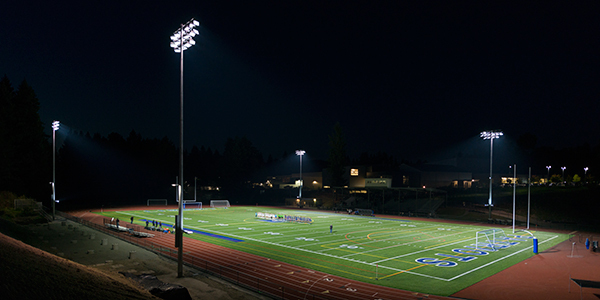 For the new lighting system at the stadium, they chose to partner with Musco, the recognized global innovator in sports lighting. 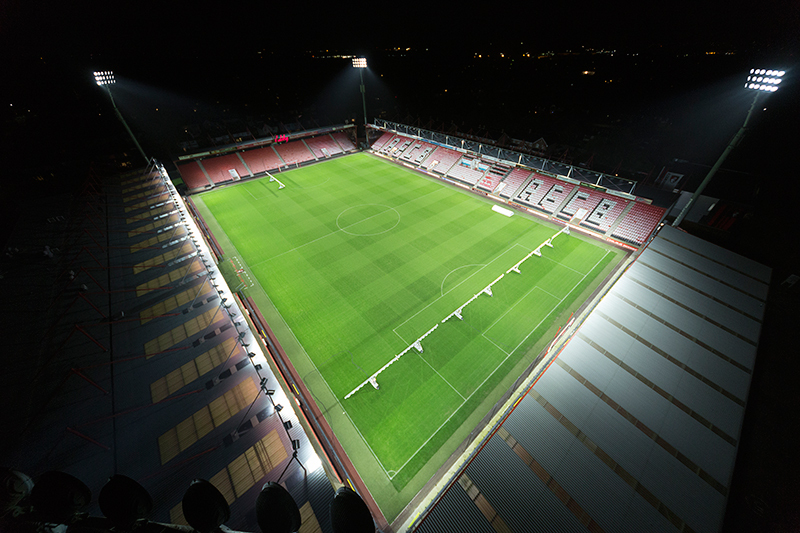 With the new system in place, fans of the Cherries will enjoy a truly enhanced match-day experience with the elimination of glare and a much brighter and uniform light distribution across the ground. 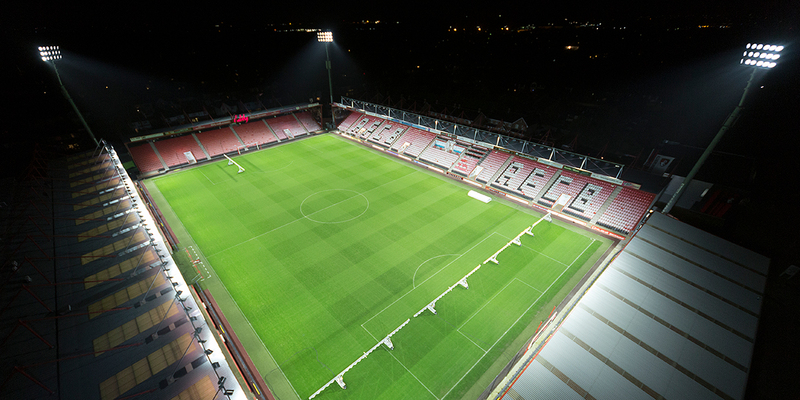 In fact, light levels at Vitality Stadium have increased by 75 percent. 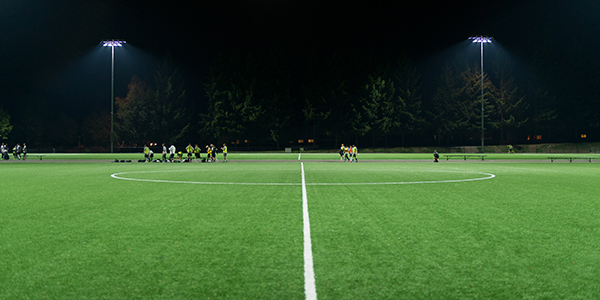 With the increase in light levels, energy consumption has only increased by 18 percent compared to the prior metal halide lights, and operating costs have been significantly reduced with Musco’s parts and labor warranty, which eliminates maintenance for the next decade.